A contract is deemed to exist once a booking has been made and a deposit has been received by Thai Motorcycle Tours.com Co. Ltd (hereinafter referred to as TMT). By signing the booking form you accept all the conditions either stated or inferred, and those conditions apply to all those travelling on that booking, even if added at some later date. It is a condition of booking that you obtain all necessary insurance protection. Thai motorcycle Tours.com will not accept any responsibility for a client’s failure to obtain the requisite insurance cover. Reservation amendments by you following issue of a confirmation invoice and/or receipt of full payment must be made in writing and incur an amendment fee of £25.00. Your deposit is non-refundable as costs will have already been incurred by our company. Cancellation less than eight weeks before your tour date incurs a charge of 50% of the tour cost, and if a cancellation is made less than four weeks before the commencement of the tour payment will due in full. (A) Thai Motorcycle Tours.com reserves the right to cancel Tours up to 14 days prior to commencement if minimum tour numbers have not been reached or if a rental motorcycle or substitute is no longer available. Thai Motorcycle Tours.com is obliged to give you as much warning as possible of any cancellation, and will make every endeavour to offer an alternative. If there is no suitable alternative, then the tour cost will be refunded in full, which will constitute full settlement. Thai Motorcycle Tours.com is under no obligation to refund the cost of additional arrangements such as extra nights accommodation or flights. (B.) Thai Motorcycle Tours.com and its guides reserved the right to accept, decline or restrain any customer from any tour at any time, and to cancel any contract on grounds of non-compliance with these terms and conditions, those of the guides, local traffic regulations or a guide's requirements for group travel. In such circumstances no refund will be due. Customers agree to except the authority and rules of Thai Motorcycle Tours.com , its guides and agents. TMT, our agents, assignees and contractors accept no responsibility for and shall not be liable in respect of any loss, damage alterations or delays or changes arising from circumstances beyond our control, such as (but not restricted to) war or threat of war, industrial or political dispute, civil strife, fire, weather conditions, terrorist activity, natural or nuclear disaster, transportation difficulties, delays or cancellations, computer malfunctions or airport closures or congestion. If in doubt we suggest that you take any Foreign Office advice appertaining to the situation at that time. We undertake to provide you with a motorcycle either of the type already described in our brochure or with what is in our judgement a suitable alternative. 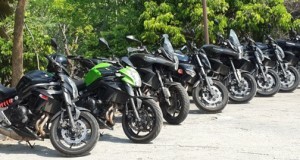 If you are dissatisfied with the motorcycle offered then that must be made clear to the guide immediately as no alternative or refund will be offered as later complaints cannot be met. There is no refund if a motorcycle is returned prior to the end of a tour or if a client decides to terminate his/her tour before normal completion date. It is a condition of Thai Motorcycle Tours.com, and indeed Thai law, that you wear an approved crash helmet when riding a motorcycle. We are sometimes able to provide helmets locally, but we strongly encourage you to bring your own. Thai Motorcycle Tours.com accepts no liability for the condition of any crash helmet. When touring it is your responsibility to follow any instructions or information issued to you by the tour leader. As a general rule, you must not leave the country, travel on private roads, or take the motorcycle off-road without our prior permission. Breaches of restrictions may invalidate travel and motorcycle insurances. Whilst TMT make every reasonable effort to be as accurate as possible with tour descriptions we reserve the right to alter the itinerary should local conditions or circumstances dictate a change at that time, provided that change is due to circumstances beyond our control or by the number of participants in that tour. Whilst taking part in a tour it is your responsibility to follow any instructions or information issued to you by the tour leader. TMT will not accept any liability if you do otherwise. In the case of either mechanical problems or an accident, the client must remain with their bike throughout and take advice from the tour leader. The client must not attempt unauthorised repairs or have them undertaken without prior consent. You will be required to leave a deposit (this is required by Thai Law and we will provide ) with our contractors at the start of your tour, the deposit normally being equivalent to the insurance excess which is deductible. Any damages to the bike will be deducted by the contractor at the end of your tour. Thailand requires that your passport must be valid for more than six months after the date you intend to leave the country. If that is not the case you will probably be refused entry to the country and TMT cannot accept any responsibility under those circumstances. You must hold a current (for the length of your tour) Motorcycle licence valid to drive vehicles under Group A. An international driving licence is also required but is not sufficient by itself. In order to qualify for a tour you need to be an experienced rider (preferably in group as well as individual riding) and have a full (and preferably clean) licence. Age is not a problem unless you are over seventy, in which case certain restrictions (insurance etc. which are beyond our control) may apply. In that situation we suggest that you take specialist advice. TMT cannot accept any responsibility if your health is in question before you undertake the tour (heart problems, for example) as whilst the tour itself is not strenuous you are up in the mountains and it can he hot. Furthermore TMT cannot be held responsible for any health problems which may occur as a result of the tour either during or after the event. TMT will undertake to comply with any special requests or requirements which you may make. You will be notified at that time of any extra cost(s) incurred. Passengers/non-riders are more than welcome on all Tours. 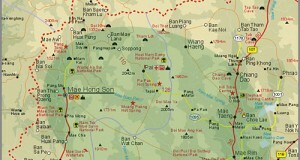 Only pillions notified to Thai Motorcycle Tours.com may be carried. Pillions not on the booking sheet may be carried for an extra charge. The prices shown on either our brochure or website are correct at the time of the booking and are based on two persons sharing a room. TMT makes every endeavour to keep these prices except in the case of any changes in local regulations which are beyond our control. If you have any complaint about the service that you have received from Thai Motorcycle Tours.com , our contractors or guides we require you to do the following. 1. Lodge the complaint with your Thai Motorcycle Tours.com guide as soon as possible, to allow us the opportunity to rectify the cause of your complaint. Failure to do so may reduce or even extinguish your legal rights. At the very latest, the complaint must be lodged by the end of the tour . 2. If not resolved at the time, follow this up in writing to Thai Motorcycle Tours.com within 30 days of the completion of your tour . All complaints will be acknowledged within seven days of receipt, and we aim to respond in full within 30 days. Day 1: Saturday; Arrival, Motorcycles allocated, Welcome Dinner, night on the town! Day 6: Thursday: 89Km Tak to Sukhothai. Day 8: Saturday; Departure Day, although most stay on for another week's fangin' around! A relaxing day at the hot springs & geyser. Stroll in the gardens, snack on Thai delicacies such as ‘Somtam’ (spicy papaya salad, but only as spicy as you like!). You can even boil eggs in the hotter waters closer to the source. 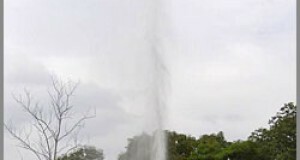 View the geysers; relax in the mineral baths or even the swimming pool fed from those same springs. Followed by an hour or so’s foot massage by the resident trained masseurs. A full lunch is of course provided and added to your weekly bill as with all our rides. A relaxing day cruising along the banks of the river ping, lunch by the riverside, beautiful scenery, Baan Tawai antiques, cultural heritage and craftwork village. All day rides are optional and can be varied to suit the group's desires. Fancy going somewhere? We can be entirely flexible and head just about anywhere you fancy, enough notice and even spend the weekend away? Other attractions include: Tours around Chiang mai's historic inner and outer city, experiencing cultural phenomena such as the Night Bazaar, Sunday craft market, live traditional Thai shows and entertainment, Restaurants, Bars, Nightclubs and various authentic dining experiences which are all completely different to their Western counterparts.